Bolton Wanderers players are refusing to attend training until they and the club staff are paid their March wages, Sky Sports News reports. First-team players have taken this action in support of staff at the Sky Bet Championship club, some who are in financial hardship as a result of missing payments. Monthly wages were due to be paid on Friday but staff were still waiting for a payment to hit their accounts on Monday afternoon. 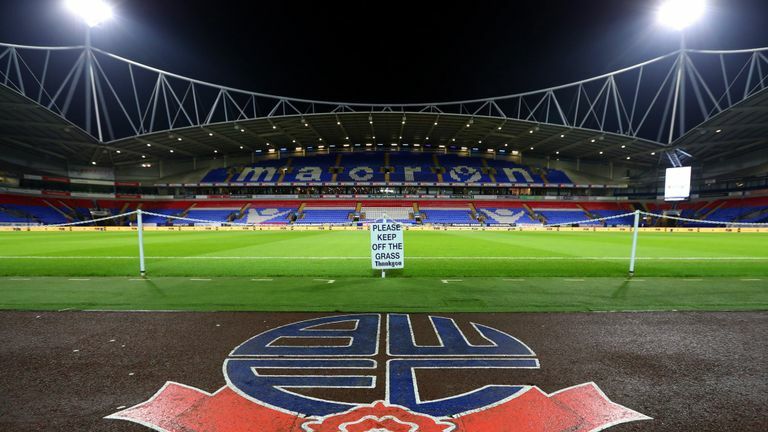 It is the second month in a row Bolton have failed to ensure wages are paid on time. In February, wages were paid over 10 days late, triggering a statement from the squad saying they were “extremely let down” by owner Ken Anderson. Anderson informed club staff last Wednesday that a deal to sell the club was “close” to being sealed in the following 48 hours, but no takeover has yet been completed. Bolton face a deadline on Wednesday to sell the club as they are due to appear in court over a £1.2m unpaid tax bill and other debts to HMRC. They were given two weeks by the High Court on March 20 to settle their debts and sell the club or risk going into administration. “I think everybody has been hanging on this cliff edge for a long time, the wages situation doesn’t help because as the month closes everybody starts talking about what’s going to happen with the wages this month,” said manager Phil Parkinson ahead of their Championship clash at Queens Park Rangers on Saturday, which the team won 2-1.